For decades, the Mini King Spinnerbait has been the most popular small spinnerbait for lighter rods, smaller fish, pressured waters and newcomers to fishing because it works so well and gets lots of bites. 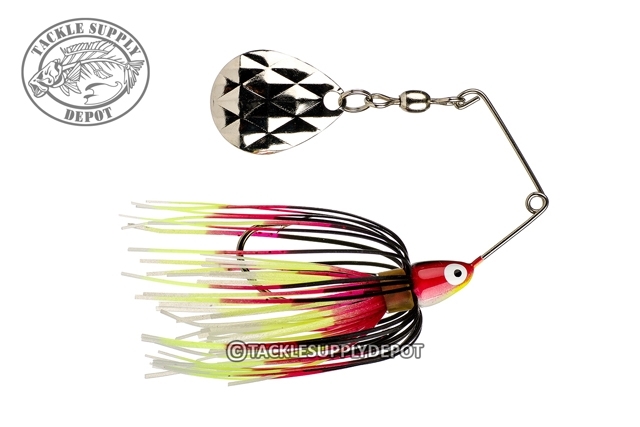 It has a safety pin wire so your knot or line clip won't slip out of position, a Colorado Diamond blade for flash and added pull (versus a willow blade) which helps your line lay better on the typical reels used with these lures, a Diamond Dust Silicone Skirt and Paint job, and a good hook. All this makes the Strike King Mini King the King of mini spinnerbaits!